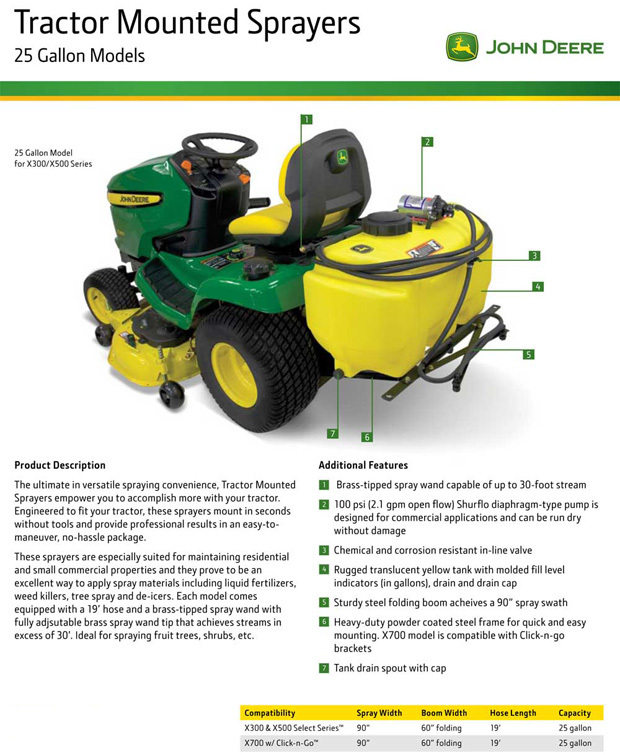 The 25 gallon Tractor Mounted sprayer is compatible with all X300/X500 tractors. 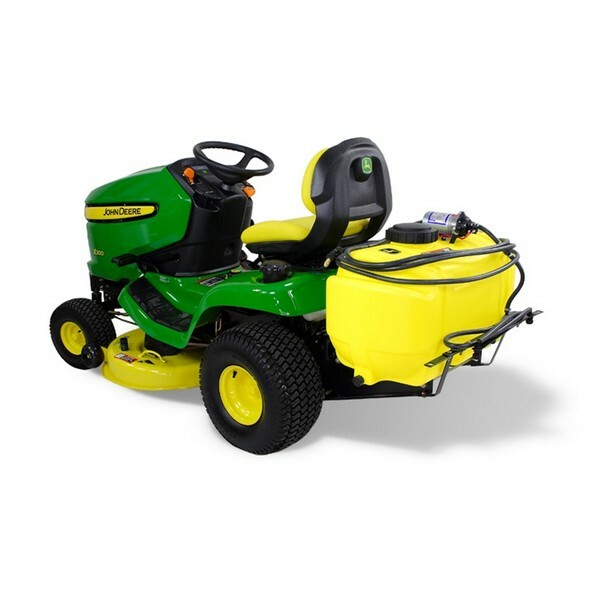 Convenient mounting, ease in maneuverability and overall versatility make this a perfect choice for your John Deere Lawn and Garden Tractor (also compatible with many older John Deere Models see diagram) It provides an excellent way to apply spray material including liquid fertilizer, weed killer, tree spray and de-icer. It comes complete with a 60" folding boom that sprays a 90" spray swath. It is equipped with a 19-foot hose and a spray wand for spot spraying lawns, shrubs, etc. The fully adjustable brass spray wand tip achieves streams up to 30 feet. It has a custom mounting bracket that utilizes the existing frame holes for a NO TOOLS mount after initial assembly.